When I was first diagnosed with type 2 diabetes I immediately started researching alternatives to what I knew the endocrinologist was going to prescribe. I did not want to spend the rest of my life with this progressively debilitating disease. I also did not want to be taking insulin. I discovered and did extensive research on reversing diabetes and the low carbohydrate – moderate protein – high fat diet, (LCHF), seemed to make sense to me. So I immediately began the diet. I had never been on a specific diet before in my life. This one was quiet different. I had always avoided fat but I ate a lot of carbs and sugars. My body was used to this high carb diet and it was always craving carbs and sugar. I would almost always have something sweet after lunch and dinner. As expected, the endocrinologist prescribed Metformin and a typical American Diabetes Association diet. I had done enough research to realize that this medicine was only the beginning and that this diet was designed to maintain the diabetes at a ‘manageable’ level rather than curing it. This was not what I had in mind for my future. I had learned in my research that type 2 diabetes was a reversible disease and did not need to be a life sentence with a progressively worsening illness. The idea behind the diet was that my body would begin burning fat for energy rather than carbohydrates and sugar and that ketones would replace glucose as the primary fuel for my cells. The first 10 days on the diet were incredibly difficult. My body was screaming for sugars and carbs. The physical symptoms resembled a flu and I had to pay very close attention to my lifetime of eating and drinking habits and not give in to them. Daily meditation and constant mindfulness were absolutely crucial to keep me going and to dealing with the physical discomforts. More importantly, these practices helped me deal with the emotional and psychological factors of changing my lifestyle. Every time I felt the strong desire for pasta or rice or bread I would look closely at the desire and where it came from. I would examine it to see if this is really what I needed to eat. When my mind filled my mouth with the memory of the taste of mint Oreos or chocolate I would not succumb. I was clear in my mind that I wanted my blood glucose level to be in the normal range and to stay there for the rest of my life. I wanted my body to heal from the damage caused by the many years of excessive sugar in my blood. After 10 days my blood glucose level was down to normal and has remained there ever since. My desire for carbohydrates, like pasta and rice, has subsided considerably and I seldom think about chocolate or other sweets any longer. When desires do arise I examine them in a mindful manner, without judgement or emotion. Would consuming this food be healthy for me? Would it help me maintain my normal blood sugar levels and the health of my body? By using mindfulness I am able to maintain this diet easily and without any struggle. I cannot imagine why I would even ‘cheat’. Why would I do that to myself? I have meditated most of my life so daily meditation comes automatically for me. In meditation I sometimes examine my mind’s motivations and inner dialogs. I have learned how to ‘dissolve’ those emotions and thoughts that are based on worthlessness, poor self-image, self-destructive behaviors and other ideas that are not in alignment with my Soul. This too has helped me to be successful at dieting. Over the many years of my psychotherapy practice I have taught thousands of clients and students meditation and mindfulness. I have seen it change lives for the better and help people deal with life in a healthy and balanced way. In my own experience meditation and mindfulness have helped me in every aspect of my life. From getting out of severe depression to imagining and developing new inventions. In my experience there are 2 major essential aspects to dieting; physical and emotional/psychological. Most diets are designed and presented primarily around the physical aspects while only giving the lightest mention of the emotional and psychological components of changing our dietary habits. I believe this is one of the reasons dietary changes are so difficult for so many people and why success rates for the long term are so low. I have found that mindfulness and meditation are powerful tools for dieting successfully. Being able to easily examine motivations, self-talk, desires, addictions and other emotional/psychological components of dieting is essential for success. Being able to get beyond the negative self-talk and self-image is criticalfor success in dieting and in life. Mindfulness and meditation make this possible in a simple and accessible way for everyone. I h ave been creating guided meditations since 1978 and now have created 2 new mindfulness meditations for supporting anyone on a diet to be successful at it. One mindfulness meditation addresses the physical aspects of changing your diet and the discomforts that can accompany that process. The other mindfulness meditation addresses the emotional and psychological components of self-awareness, poor self-image and other hurdles must of us must overcome. They are both created to help you find balance and well-being in body and mind. These meditations are appropriate for anyone, even if they have never tried mindfulness or meditation before. 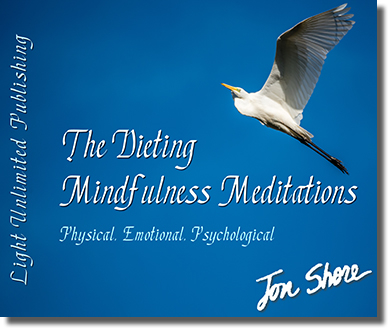 You can download The Dieting Mindfulness Meditations at www.lightunlimitedpublishing.com. I hope you work with them and are successful in achieving your goals. 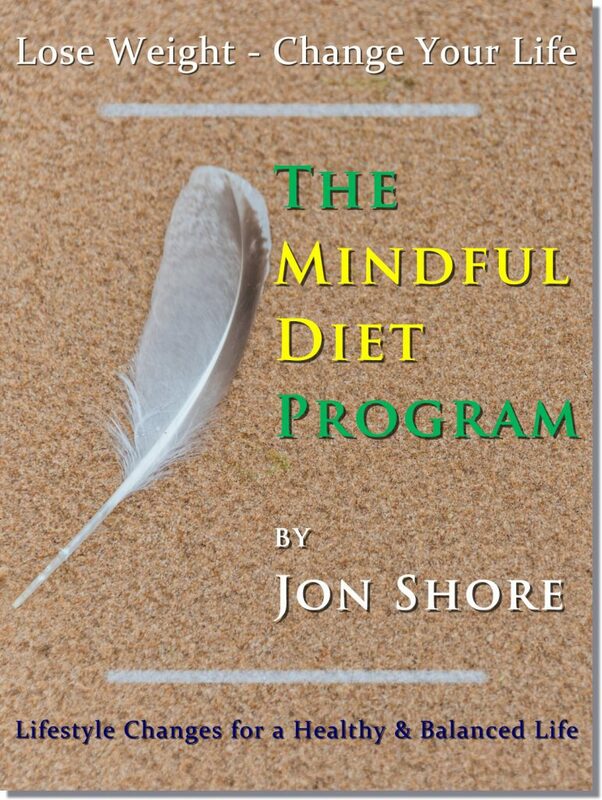 I have written a book about how to use Mindfulness for Dieting and Wellness. The book includes specific strategies, techniques and guidelines for weight loss, reversing Type II Diabetes and improving your life. You can purchase this book in various formats at the links below. To repost or reprint please contact me at reachout@www.anew.lifesanswers.org.